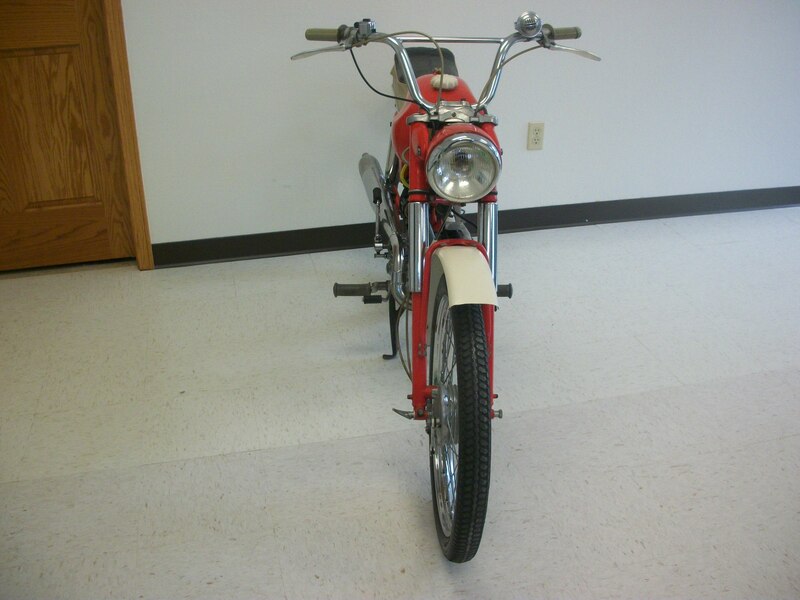 1964 Allstate Sport 60 3 speed moped…this is as cool as it gets! Hopefully, it will go to a great home because the previous owner babied it and we promised him that we would take care of it. 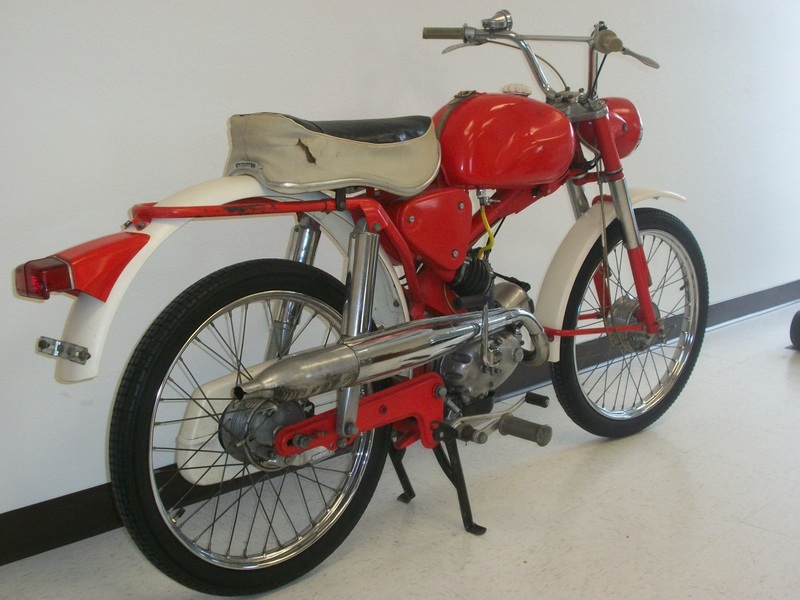 This highly collectible machine was manufactured by Puch for Sears Roebuck and Co. and re-branded under their Allstate line of products as a Allstate Sport Moped. 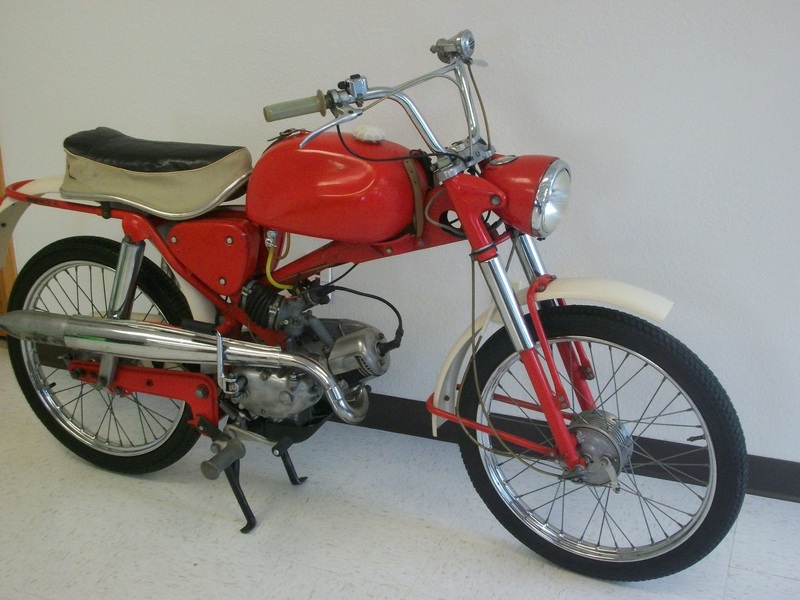 It is technically and legally a motorcycle but Sears marketed it as a moped so that is what we are going to refer to it as. 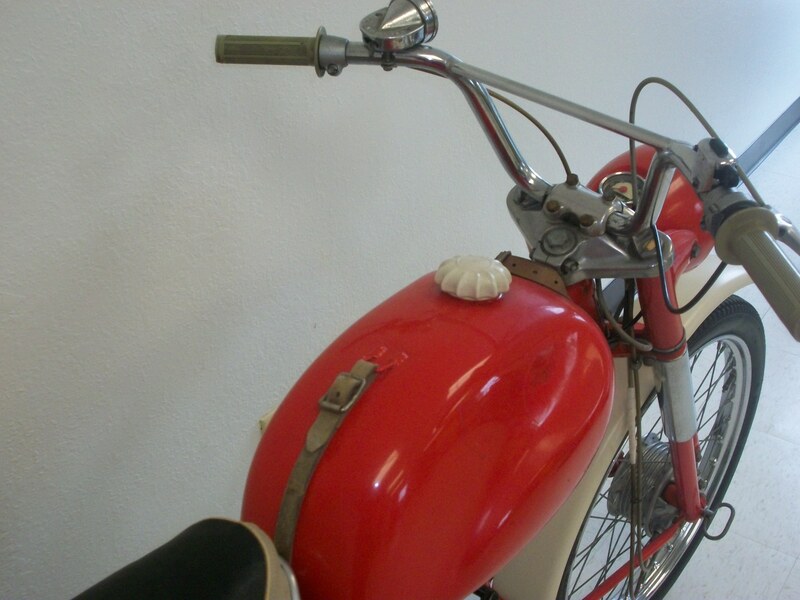 I guess that means that you will need a motorcycle license to operate this beautiful moped, huh? 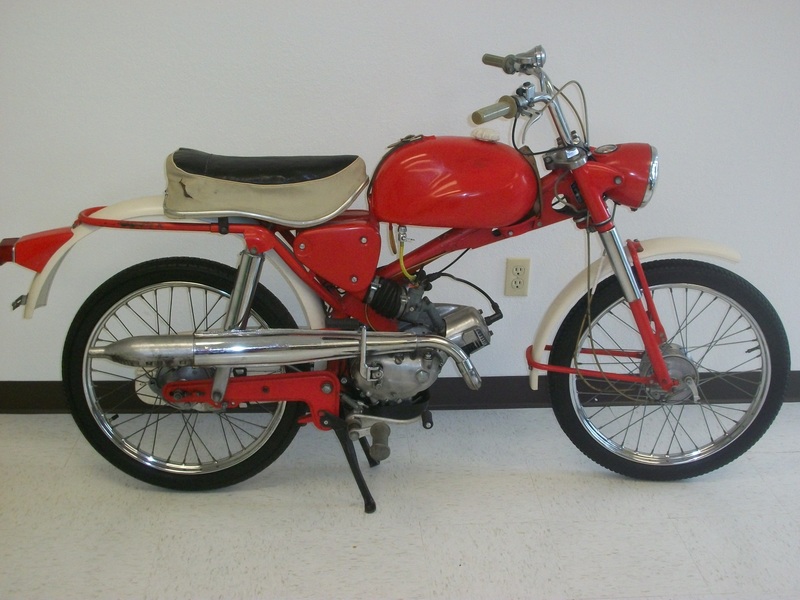 This 60cc classic Puch with it’s traditional 3 speed transmission and clutch, fan cooled engine and light-weight chassis will propel you down the road at speeds up to 55 mph. Everything on it is original right down to the leather tank straps and Claxon manual horn. 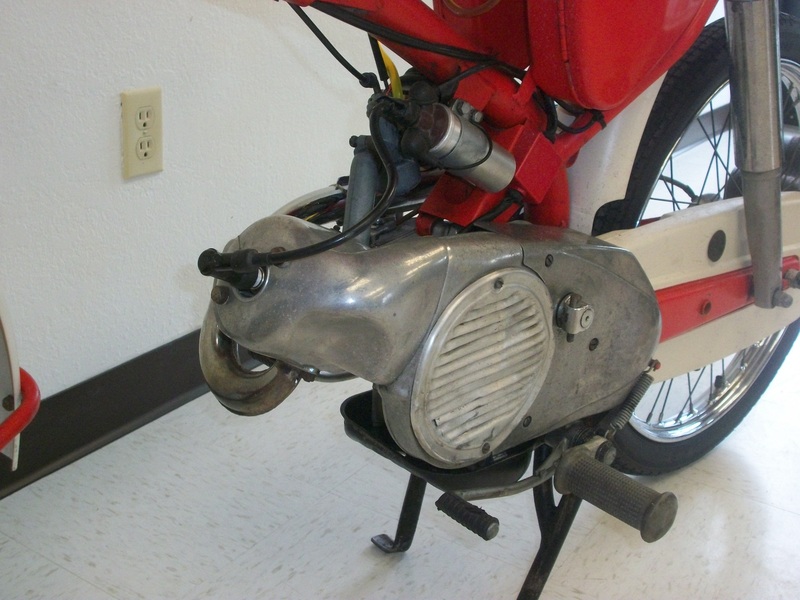 It currently runs perfect so you could ride it just as it is or do a full-out restoration on it at minimal cost because it is 100% complete. 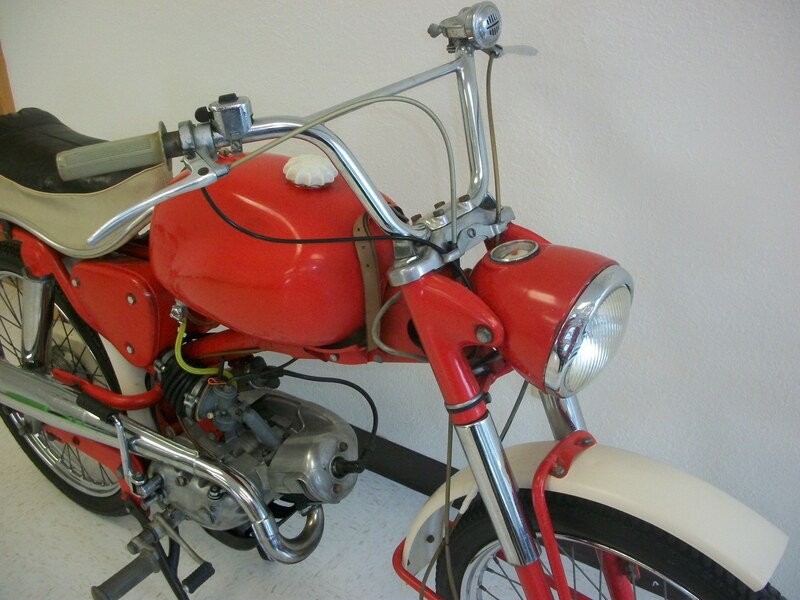 The bike was repainted by the previous owner and he did a great job but it is not a professional restoration. 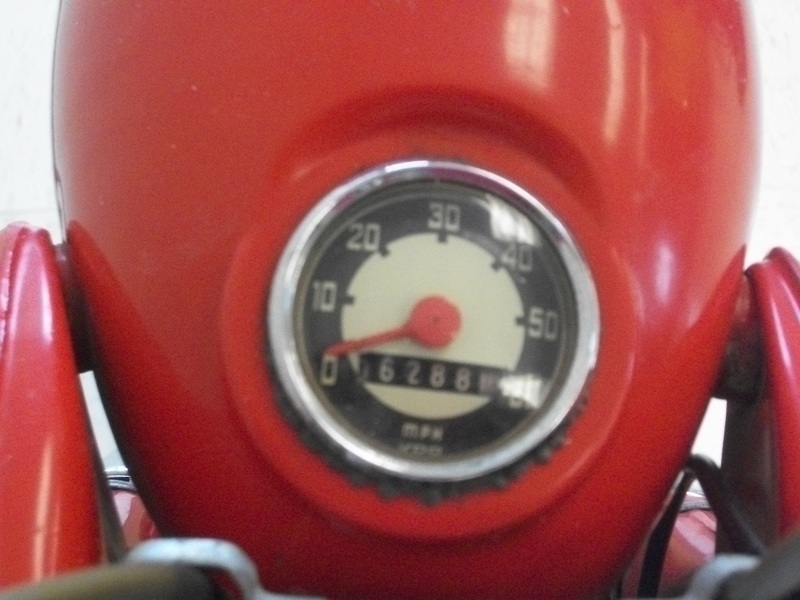 Picture yourself on this bike…you look good! 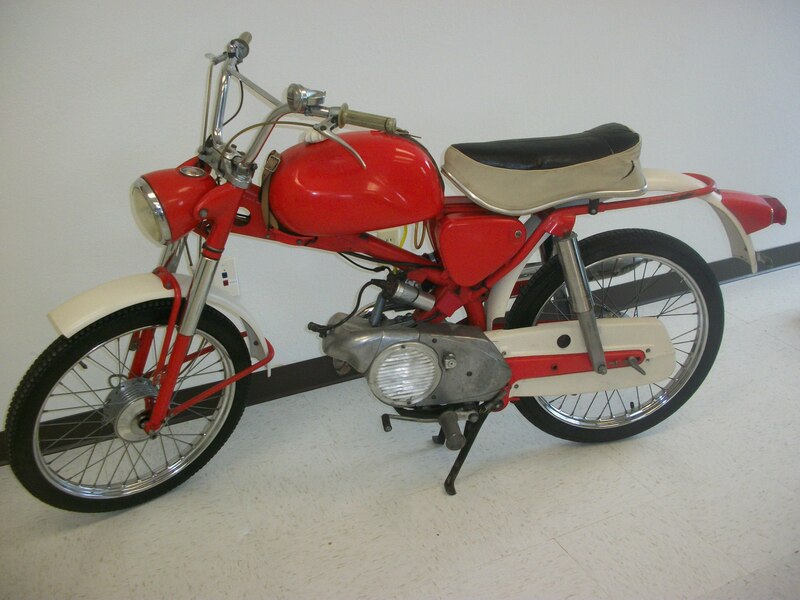 $1295.00 and we’ll deliver it to your garage if you are somewhere in the Mpls/St Paul/St Cloud area! Minnesota title, new plates and 2014 tabs. Just get on and ride! We also have copies of the service and parts manuals available to download free in our manual section.